There was a Plowman with him there, his brother. He must have carted through the morning dew. He was an honest worker, good and true. Chaucer really approved of both the poor Plowman and his brother The Parson, he speaks kind words of them both sure that they were the genuine article, no snide tongue in cheek comments for this pair. 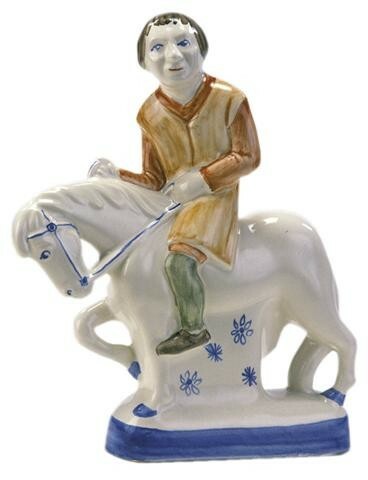 To illustrate both his poverty and his life style, we have kept to terracotta and our soft russet for his tunic with no head covering at all, while his poor horse has only the simplest of reins.